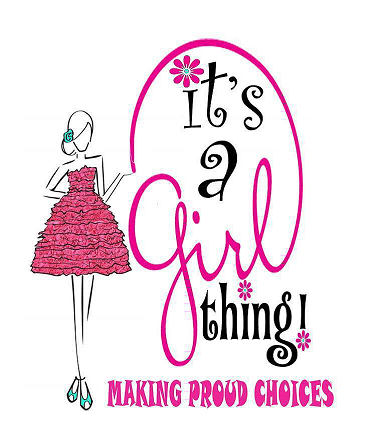 Union General Hospital "It's a Girl Thing: Making Proud Choices"
Union General Hospital, located in Farmerville, Louisiana, is taking on the challenge of addressing teen pregnancy and Sexually Transmitted Disease (STD) in their community through an after school program they created in fall 2012 called "It's a Girl Thing: Making Proud Choices." Already over 200 girls from the ages of 12 to 17 have enrolled; an amazing number for a rural community! This program was created in response to a Community Health Needs Assessment (CHNA) funded by RHPI in FY12. Cynthia Dupree, partner with Draffin & Tucker, served as the consultant for this onsite project. Teen pregnancy prevention and early education in schools were among the priorities identified by the CHNA Hospital Steering Committee (CHSC). View the RHPI Hospital Spotlight on Union General Hospital's CHNA. Through this program, the girls acquire the knowledge and skills for taking charge of and making informed decisions about their sexual health, exploring values, practicing responses in different situations, and thinking about their futures. Girls are assisted with identifying ways and reasons to avoid early pregnancy and prevent STDs, including HIV. While communities and policy makers search for effective strategies to address adolescent sexuality issues, most youth and parents say that girls need more comprehensive information relevant to their lives. They need this information sooner rather than later and they need appropriate information throughout their development. Programs and efforts that deliver such information need to pay particular attention to gender-specific issues because young women have specific needs in managing sexual relationships and they deal most directly with the consequences of teen pregnancy. Topics for discussion include: "Saying What You Feel", "Developing Your Sense of Worth", "What About Boundaries", "When Dating Goes Bad", and "Oh Baby! The Consequences of Teen Pregnancy." Center staff spoke with Claudia Wade, Executive Assistant and Grant Writer, about this amazing project. "It's been exciting to see all these girls' lives be turned around. We have not only the girls but their parents talking to us. They say they can really see a difference in their daughters...they are more self-confident. The girls call us when they need something and want to get involved. They share a lot about their personal lives. It means a lot to us. We are building stronger relationships with the community...churches, school board, businesses are sponsoring us, and newspapers advertise for free; everyone is involved. We have parents in the community picking up other girls to bring them as a group. The parents also end up talking with each other while they are waiting for the girls to finish the session." Ms. Wade noted that an important factor that has impacted the success of this project relates to the staff involved. "We realized that we are a racially diverse group...that has led to girls of all races participating. They see us working together and realize they could do it too." In addition to Ms. Wade, program coordinators include Sherry Banks, ANCC, Psychiatric and Mental Health Nursing, Jiame Brown, BS, Public Health Department, and Jill Manning Elias, LCSW. When asked about the future of this project, especially related to population health, "We would love to see this project on the list of the Top 10 for pregnancy and STD prevention across the country. We hope to expand this program. We are definitely thinking about the future." Over next five years, reduce sexually transmitted disease rates by 5 percent. Over next five years, reduce teen birth rates by 5 percent to 68.7 per 1,000. Over next five years, reduce infant mortality rate by 5 percent to 8.1 per 1,000 births. Over next five years, reduce low birth weight by 2.5 percent to 11 percent of births. Union General Hospital is eager to share this program with anyone interested. For more information about this program, contact Claudia Wade, cwade@uniongen.org, 318-368-7075. Union General Hospital (UGH) is a non-profit, 25-bed Critical Access Hospital. It is the mission of UGH to deliver the best possible health care available and serve the dedicated people of Union Parish and the surrounding areas. Established in 1975, the motto is, "Large enough to serve, small enough to care." For more information about Union General Hospital, visit their website: http://www.uniongen.org/.